Have you found an online vendor selling Westerhall Estate No 10? Nose: pleasant caramel and oak, with some hints of banana and vanilla maybe, but not very intense: you can smell it well in a sniffer, but not very well in a tumbler. Palate: rather thin, a bit spicy and some sharpness, but no ugly afterburn. Not very voluminous, not very aromatic, rather flat. Some hints of smoke. The nose has a distinct sweetness to it with an almost flower-like background. The first taste is smooth and even, with lots of sugar and caramel on the tongue. The aftertaste is a bit oily and alcoholic but the rumminess fades a fair bit. The spirit does not seem to have a lot of depth. It's pleasant, reasonably tasty on first sip, but I don't think there's a lot going on. I'd drink it in a bar, but I would not buy a bottle. I was a bit disappointed, really. A smooth rum in a nice bottle lots of caramel in nose and mouth with a quite long afterburn. Another nice rum. 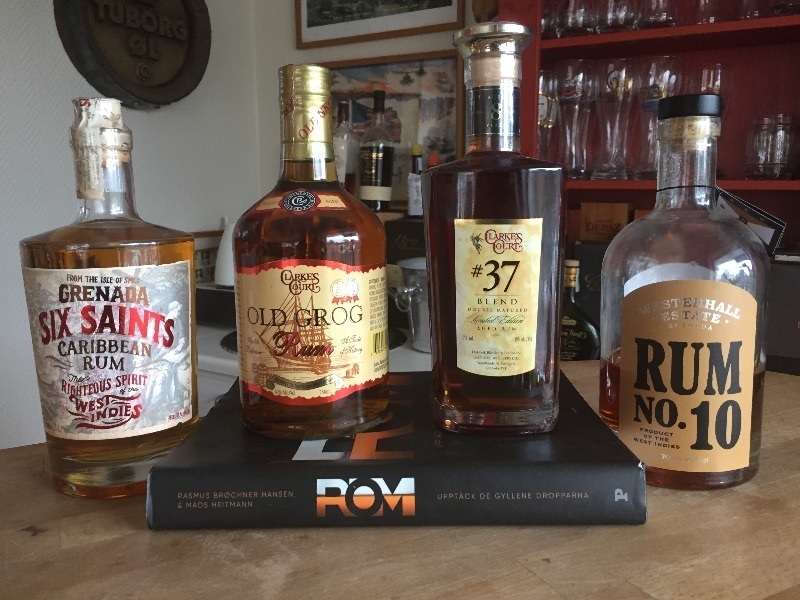 One of the best things about rum is that for £35-40 you’re pretty well guaranteed some really good spirit. And if you go fifteen smackers over that you’ll get some real life changing talking directly to God transcendental quality. Tried the Westerhall Estate Number 10 and Westerhall Plantation Rum back-to-back. Number 10 has a bit quirky label, but very nice semi dark color. Good flavor profile and pleasurable nose test. I think this rum would have been spectacular if aged 5-7 years longer. Still a strong 7. Nice looking new bottle, really balanced combination of brown sugar and molasses that has an appealing combination of sweet and spice. Really seems like I could sip on this all night long. Slightly oily finish with some sour notes that moves the rum from 9 to 8/10 - but still a strong offering.